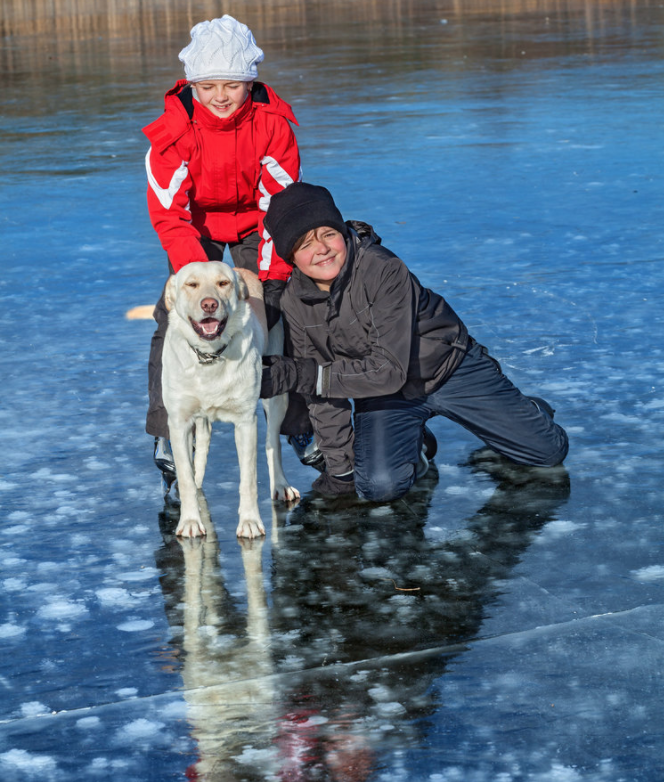 “Let Tally go,” I shouted and Tally helped Connie break through the ice and then guided her to safety. She got out, shook off, gave him a few grateful chin licks and then they were off playing again. I teach dogs to race to shore when the ice shifts, and Tally had proven his understanding more than once. But when he was rescuing his friend, he didn’t turn back until she was safely close enough to shore, and even then he guided her to the bank. Dogs are just amazing. If you live near thawing waters or are letting your dog romp in unknown areas or with unfamiliar dogs, please use a long line . Your dog can still run free but it’s a reassurance should an unpredictable situation happen.